Whenever Fidelity Scott hears a certain gentleman’s name, she turns into a mindless, quivering puddle of drool. Well, in all honesty, every young lady does. Sylvestre Brightenburg is that bewitching. He leaves no room for any other man in Fidelity’s thoughts, not even close family friend John Greysteil, whose excellent manners and handsome face perhaps don’t get the attention they deserve. But when Fidelity realizes everyone in Mayfair knows of her name-induced drooling, she’s mortified to her bones. Her reputation’s only hope is for her to escape to the country, even though that will leave her two young cousins without a chaperone next season. But before she leaves, Grey convinces Fidelity to attend one more masked ball. 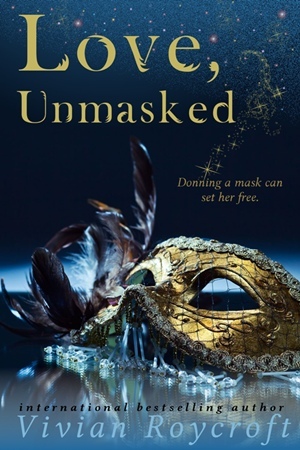 Armed with a new and sensuous gown, a full-face mask, and complete anonymity, she’s determined to make some scandalous memories to sustain her for the rest of her Brightenburg-less life. But Grey has other plans for her last evening in town, plans that don’t include the blistering rake all the ladies are sighing over. How can he convince Fidelity she’s making a terrible mistake? How can he win her heart in the crush of a winter masked ball?